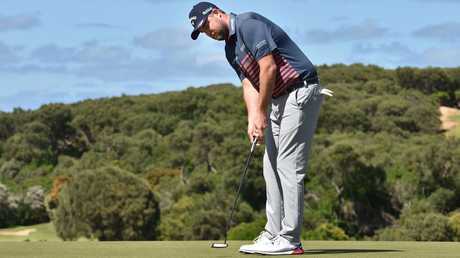 The lamb sandwiches Marc Leishman's mum made him before he teed off with his dad at Warrnambool at the weekend were one of the warm comforts that told him he's home. Family is king for the world No.19, born and raised in the country town, and the key driver in a career that has been stellar for a decade. Leishman, 35, is back home for the World Cup at Metropolitan this week, where he will partner rising star Cameron Smith, followed by the Australian PGA on the Gold Coast. It's a two-week Aussie hit, because Leishman is only a two-week traveller all year round. Too much time away from his wife, Audrey, and their three children is a focus-killer. Leishman landed on the schedule after being "miserable" during stints longer than that, and it's a schedule he believes is the reason behind his surge towards the world top 10. That and the fact his kids, especially his sons Harvey and Ollie, love trophies. "I was always fine the first week when I was away, then the second week I was like 'Gee, I've still got two weeks to go'. One of my boys started walking while I was away. 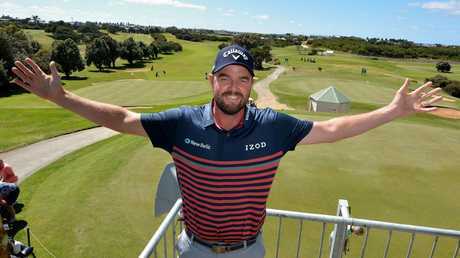 They change so much when they are young, I don't want to miss anything," Leishman said in the Warrnambool clubhouse. It is littered with pictures of his career highlights, and includes his name on the honour board as club champion twice, the first time when he was only 13. "With the boys at the age they are, 5 and 6, they understand I go away for work. I want to do it as good as I can, then get home to them. "I know I've got two events to come here to, go hard, I can give it everything I've got, try and make the trip worthwhile. "And just the excitement the kids get when I take home a trophy, that makes it all worthwhile. The trophy from Malaysia (Leishman won the CIMB Classic last month) arrived at home on Friday and Audrey posted a picture of the kids holding it. They get so excited with all that." In racing parlance, Leishman goes well fresh too, which bodes well for this week's event. "My first US PGA win (the Travellers Championship in 2012) was off a two-week break, and I didn't touch a club. The Arnold Palmer Classic (in 2017) was off two weeks and Malaysia was off a two or three week break when I didn't touch a club," he said. "I'm not going to play one week and take two off every time. But I have come to know myself, what works for me. "That's how I find I play my best golf, and it works out I can play 25-28 tournaments a year, and spend 20 weeks at home with the kids and not feel like I'm missing out." What he has missed out on, though, is winning at home. 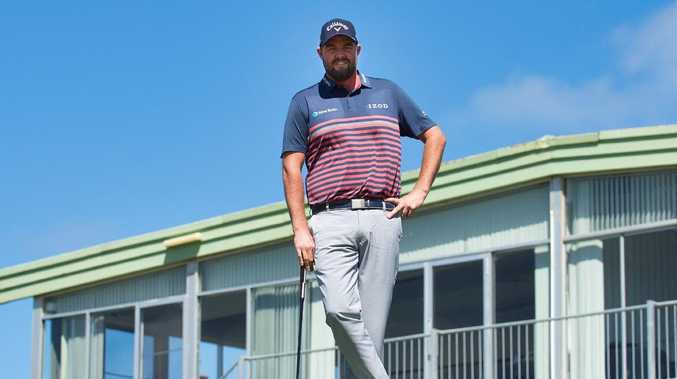 Leishman, who has been playing on the US PGA Tour since he was rookie of the year in 2009, said that was partially because the feel of home, his mum Pelita picking him from the airport, and those lamb sandwiches, used to relax him too much. "I feel like early in my career I was probably too relaxed at the Australian events. Not that I didn't take them seriously, I just didn't take them seriously enough," he said. "When I came back, it was like just taking a deep breath and 'Ah, I'm home'. Now I've played enough of them, I really want to win one of them - an Open or a PGA - win more than one of them, but you have to start with one." 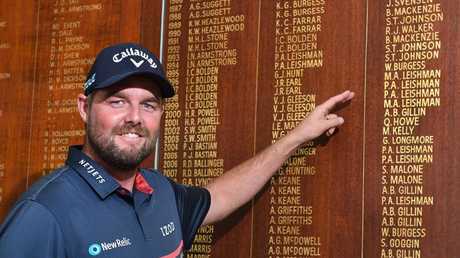 Leishman said a World Cup win would count as a home soil victory, but not quite tick the box like an Australian Open or PGA would. He conceded a heavy heart in missing this year's Open, but wasn't going to mess with the two-week formula, and said the World Cup was a must-do. 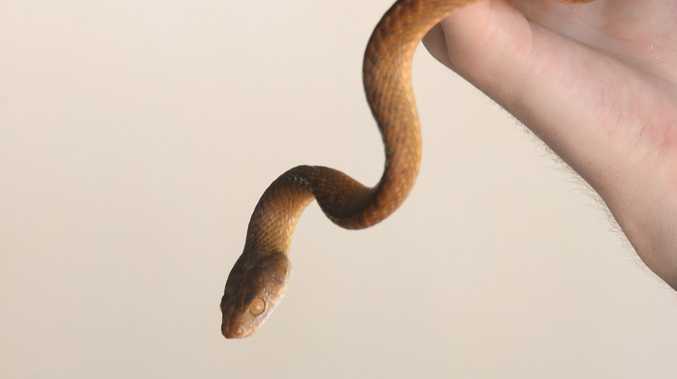 "In 10 years, I feel like I have achieved a decent amount," he said. "There have been some missed opportunities; I would love to have a major and a few more wins, but also I feel like my best is ahead of me. "I know myself a lot better now than I did in 2009. Everything is getting better. "It's cool to be in the position I am in, travelling the world, doing what I love … and give the kids that joy. That's what I think about now. "I really want to win for them." News The incident happened in Howard about 11.38am.